The below presented companies have indicated their interest in meeting investors at Euronext Amsterdam, Beursplein 5 on September 28 or 30. The meetings will last 50 minutes and scheduled throughout the day in the Mercury hall and board rooms. Berenberg and ING will be the hosting brokers, while Tradinfo will coordinate the meeting requests and create all meeting schedules. AT & S Austria Technologie & Systemtechnik Aktiengesellschaft, together with its subsidiaries, manufactures and distributes printed circuit boards (PCBs) worldwide. It operates through three segments: Mobile Devices & Substrates, Industrial & Automotive, and Others. The company offers single-sided, double-sided standard, metal core, and copper inlay PCBs; multilayer standard, high frequency/low loss, and thick copper PCBs; high density interconnection (HDI) microvia PCBs; HDI any-layer PCBs; flexible, semi-flexible, and rigid-flexible PCBs; and insulated metallic substrates PCBs, as well as related services. It also provides embedding active and passive electronic components in printed circuit boards by using the embedded component packaging technology. The company distributes its products directly to original equipment manufacturers and contract electronic manufacturers. AT&S Austria Technologie & Systemtechnik Aktiengesellschaft was founded in 1987 and is headquartered in Leoben, Austria. Atos is a digital services company. The Company offers supply chain management, data warehousing, enterprise application integration, document management, geomarketing, data mining, e-marketing, and pre-customized computer applications, and manages customers' hardware, software, and networks. Telenet Group Holding NV provides media and telecommunication services to residential and business customers in Belgium. The company offers basic cable television; digital and premium television; high-speed broadband Internet; fixed and mobile telephony; and voice and data services, as well as value-added services including cloud, hosting, and security solutions. As of December 31, 2014, it served 2,066,700 basic cable television subscribers; 1,530,600 broadband Internet subscribers; and 1,154,200 fixed telephony subscribers, as well as 894,500 mobile postpaid subscribers. The company also distributes mobile handsets and set-top boxes; and provides cable television activation and installation services. In addition, it operates Websites, including Yelotv.be, Zita.be, Vandaag.be, 9lives.be, and Sportingtelenet.be; and offers various applications, such as Telenet Support, Yelo Play, Telenet Mobile, Triiing, and Mobile Configurator. Telenet Group Holding NV was founded in 1994 and is based in Mechelen, Belgium. Cofinimmo SANV is a Belgian real estate company that specialises in rental property. The Company's main investment segments are office property, care homes and distribution property networks. Cofinimmo is an independent company, which manages its properties in-house. ThromboGenics NV is a biopharmaceutical company focused on the development of therapeutics for conditions related to the vascular system. The Company is focused on developing medicines to treat visual disorders, cardiovascular diseases, and cancer, conditions which result from abnormalities to the vascular system. Bekaert is a world market and technology leader in steel wire transformation and coating technologies. We pursue to be the preferred supplier for our steel wire products and solutions by continuously delivering superior value to our customers worldwide. Bekaert (Euronext Brussels: BEKB) is a global company with 30 000 employees worldwide, headquarters in Belgium and € 4 billion in annual revenue. Bone Therapeutics SA develops treatments for osteo-articular diseases. The Company offers cell products for the repair and regeneration of bone and joint tissues using a proprietary cell technology platform. Bone Therapeutics markets its products worldwide. 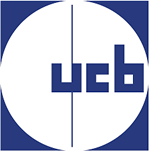 UCB SA is a biopharmaceutical company. The Company specializes in the treatment of central nervous system disorders and inflammatory diseases. UCB operates worldwide. Technip SA designs and constructs industrial facilities. The Company designs and builds factories which produce and process petroleum products, natural gas, and chemicals, and generate electricity. Technip builds offshore facilities for the petroleum industry. The Company operates worldwide. IntegraGen researches and identifies genetic biomarkers, and develops and distributes molecular diagnostic products and services. The Company allows clinical practitioners to use new diagnostic tools, improving patients' care, and concentrates in autism and oncology. IntegraGen also provides genomic services and sequencing for scientific research. Euro Disney S.C.A. operates the Disneyland Paris complex. The Company operates the Disneyland and Walt Disney Studios theme parks, theme hotels, a Festival Disney amusement center, conference centers, and a 27-hole golf course, and leases retail space. Euro Disney also develops real estate. 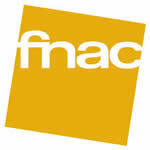 Groupe FNAC S.A. distributes consumer goods. The Company sells a wide range of books, music, movie discs, video games and consoles, computer products, telephones, home appliances, cameras, electronic equipment, and travel services. Grand City Properties S.A. specializes in buying, re-developing, optimizing and repositioning real estate properties in Germany. The Company owns and , manages units located mainly in Berlin, North Rhine, Westphalia, Dresden, Leipzig, Halle, Bremen, Nuremberg and Mannheim. Grand City Property was incorporated in 2011 and is based in Luxembourg. Sonae SGPS S.A. is a retail company that operates in food and non food retail stores including sports goods, apparel and consumer electronics and appliances. The Company is also involved in the shopping centres and telecommunication businesses. Antevenio specializes in online advertising services. iQ Power AG is involved in the development and commercialization of electrical power sources and energy management technologies. The Company develops technologies for the automotive industry and other industries. iQ Power's primary technology relates to a smart automotive starter battery, which combines several proprietary features.